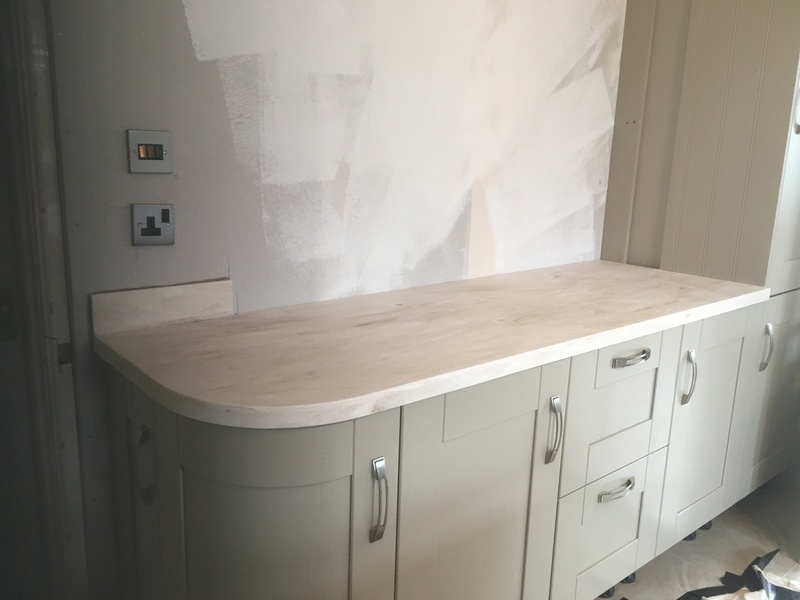 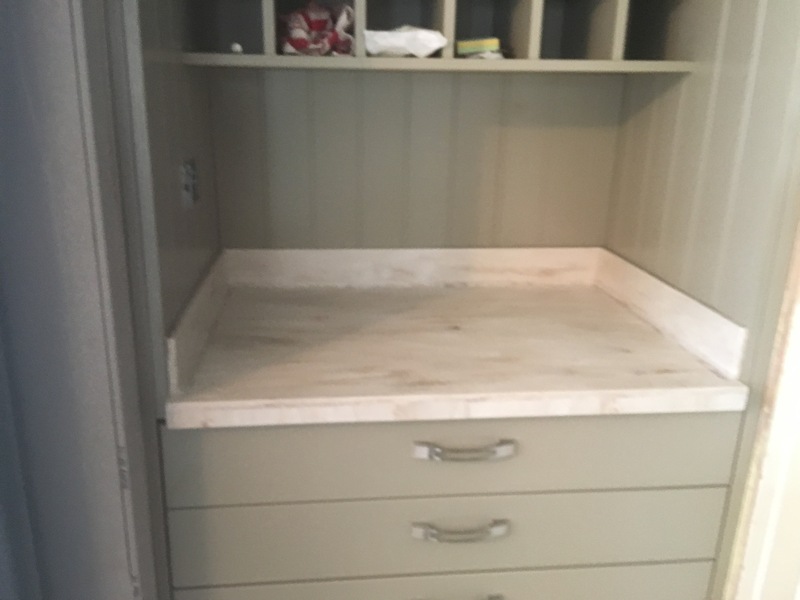 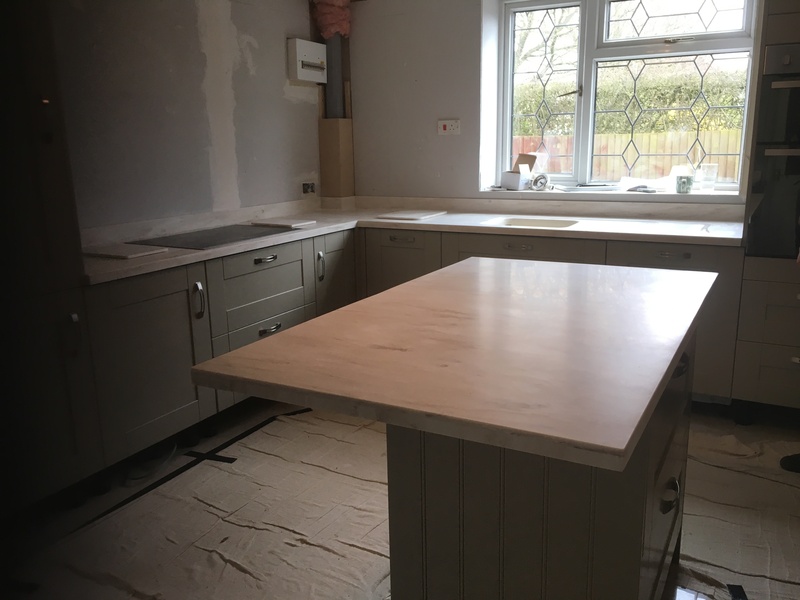 The kitchen isn’t quite finished…but we have another happy GM Solid Surfaces customer. 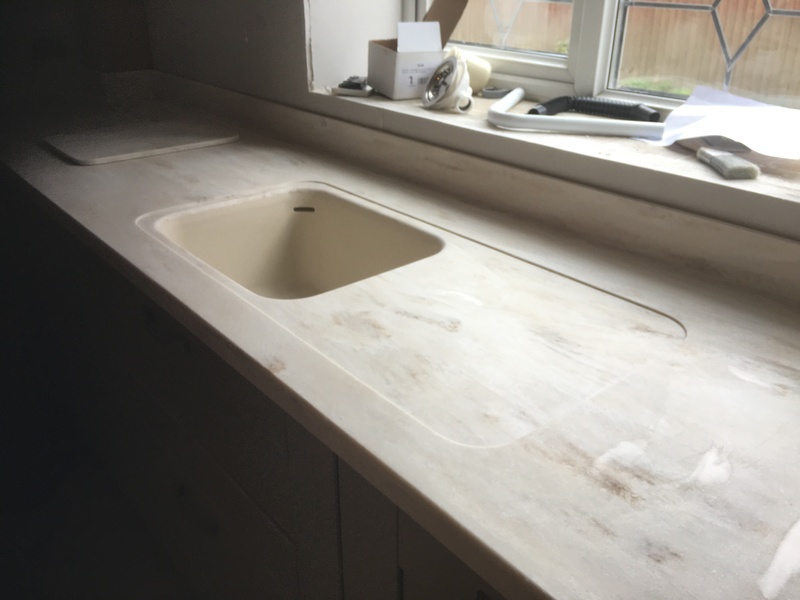 Recently fitted Corian kitchen worktops. 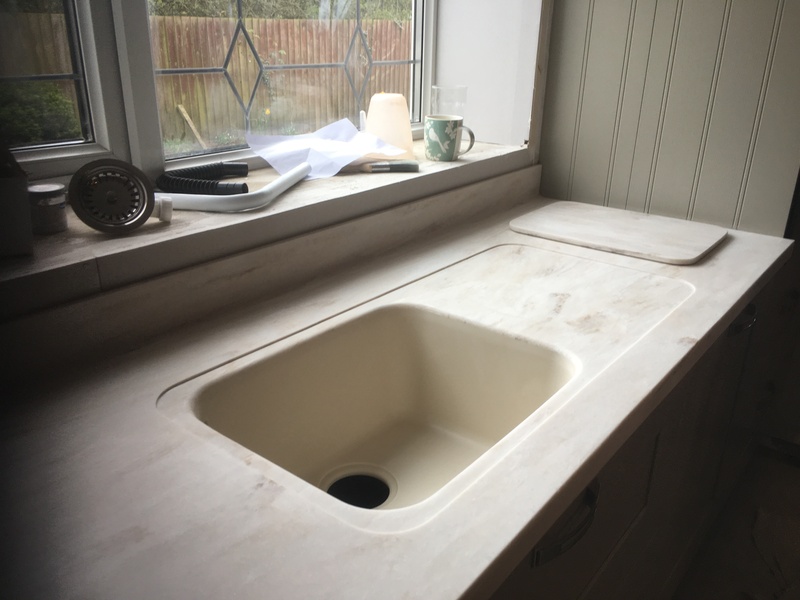 The veined Corian colour is Witch Hazel. 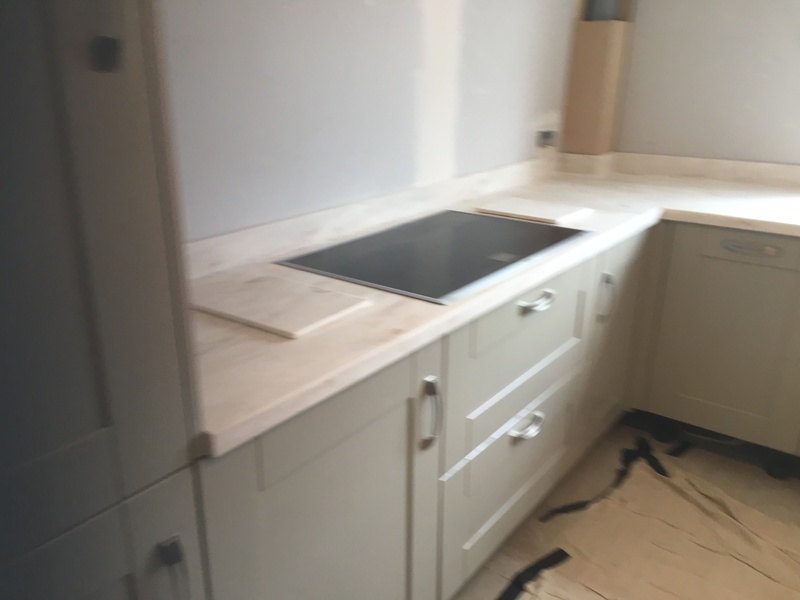 We fabricated kitchen worktops finished with a coved upstand and a sunken drainer around the sink.